Everything about Saint-Antoine l’Abbaye is beautiful. It’s a wonderful place to hold our summer calligraphy courses. Or we wouldn’t have been doing it since 1989. Unfortunately for me, a Canine Complication meant I was unable to be there for Deuxième Niveau this summer. So Keith took on this summer’s second-level students alone. Is it good- or ill-fortune to have “only” four students? 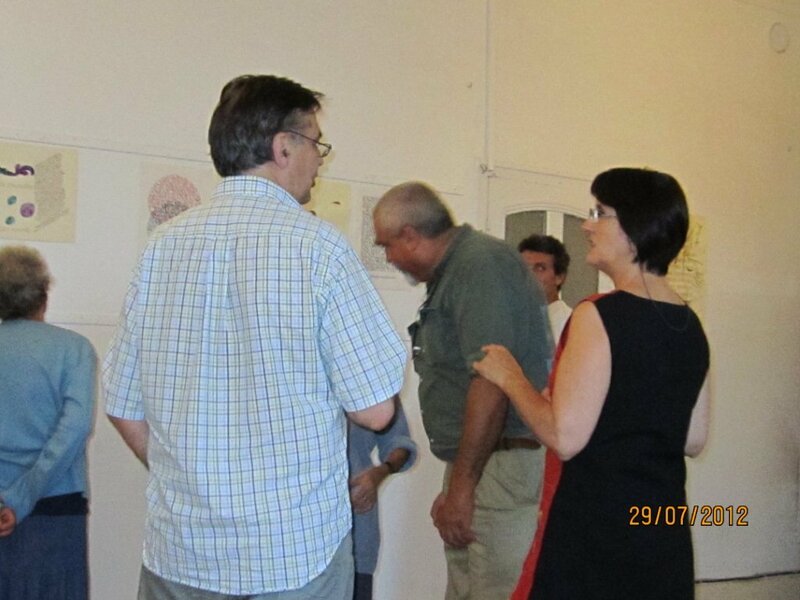 Javier, Ausiàs, Cathy & Gérard. Only three languages to juggle? Lots of luminous space in the Salle Blanche. Based on elements from the Visconti Hours, along with the stunning pen-made Roman majuscules from manuscripts by Bartolomeo San Vito. None of them are easy, but all are worth pursuing. I wasn’t there to take photos myself – many of these are Cathy’s. I believe Ausiàs is going to send some more? And so is Javier? Madame, messieurs? Vos photos? I rather think Gérard, you travel without a camera, and devote yourself to doing lettering rather than photographing it? 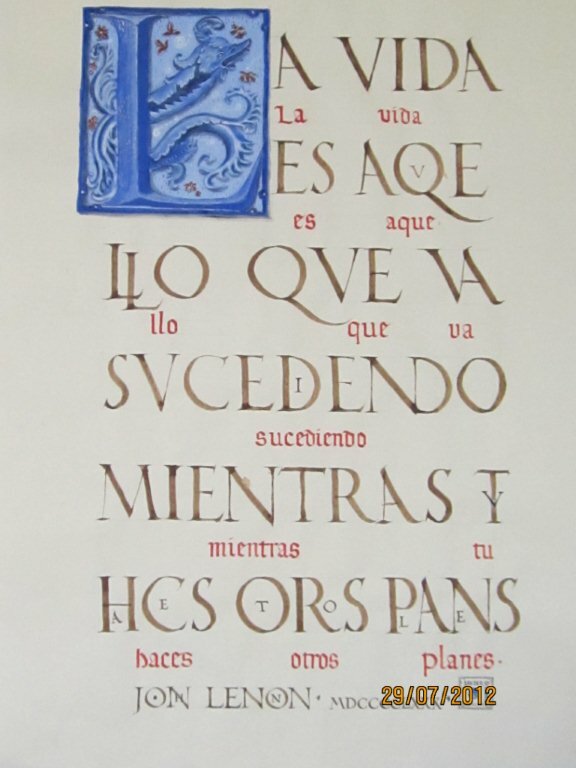 This entry was posted in letterish and tagged Ausias Perez Carbonell, Cal·ligrafia, Caligrafía, Calligraphie, Calligraphy, Cathy Riva, Deuxième Niveau, Gérard Gosme, Javier Franco Portoles, Keith Adams, Saint-Antoine l'Abbaye. Bookmark the permalink. merci beaucoup Amanda, c’est une sorte d’expo de fin de stage!